• Being designed for using with microphone only. 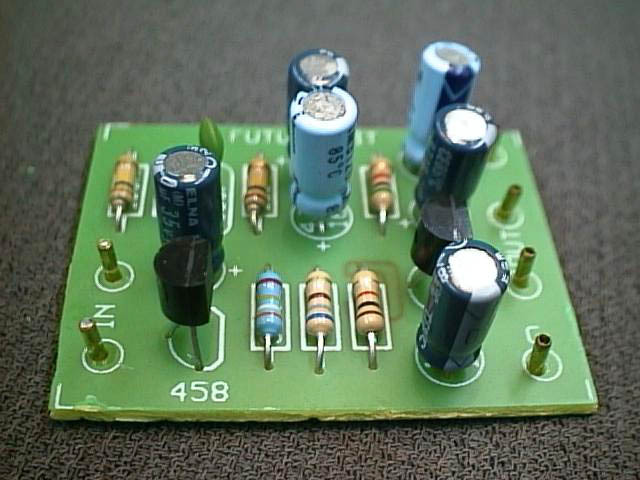 • Economical circuit with easy assembly by using 2 TR working with few R,C. • Power supply: 12 VDC. • PCB dimensions: 1.41 X 1.76 in. Very nice kit that can be built in an evening. A good project that has a very practical useful purpose.